Zippo lighters are made by The Zippo Manufacturing Company in Pennsylvania, founded in 1932. These lighters became popular within the USA during world war II in military. 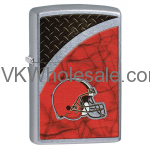 We carry variety of discount zippo lighters. 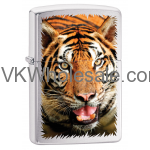 Buy zippo lighters wholesale and make big fat profit. 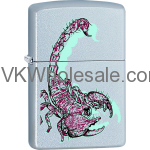 Minimum quantity for "Zippo Classic Scorpion Satin Chrome Z146" is 1. 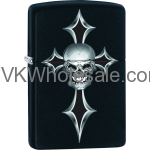 Minimum quantity for "Zippo Classic Skull Cross Black Matte Z165" is 1. 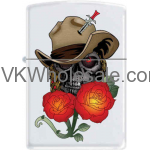 Minimum quantity for "Zippo Classic Skull with Rose White Matte Z257" is 1. 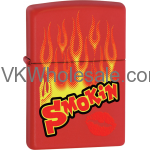 Minimum quantity for "Zippo Classic Smokin Lips Red Matte Windproof Lighter Z255" is 1. 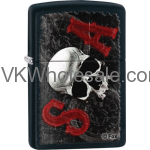 Minimum quantity for "Zippo Classic Sons Of Anarchy Skull Black Matte Z116 Windproof Flint Lighter" is 1. 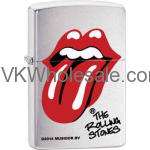 Minimum quantity for "Zippo Classic The Rolling Stones Lighter Z337" is 1. Minimum quantity for "Zippo Classic Tiger Brushed Chrome Z339" is 1. 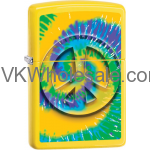 Minimum quantity for "Zippo Classic Tye Dye #4 Lemon Z192 Windproof Flint Lighter Z192" is 1. 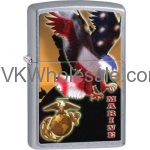 Minimum quantity for "Zippo Classic United Sates Marine Corps American Flag Street Chrome Z112" is 1. 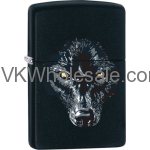 Minimum quantity for "Zippo Classic Wolf Black Matte Z188 Windproof Flint Lighter" is 1. 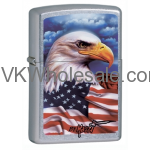 Minimum quantity for "Zippo Claudio Mazzi Eagle Flag Lighter" is 1. Minimum quantity for "Zippo Cleveland Browns" is 1.